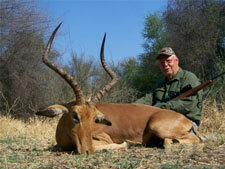 Cruiser Safaris hunting client Joe Morrow, reference letter and hunting photos. 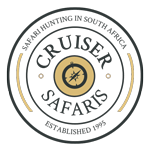 After making the decision to take an African safari I found the web page of Cruiser Safari’s. I found this to be the most informative and best designed web site compared to other similar sites. I contacted “Cruiser Bob”, the contact person for more information and I found Bob to be one of the friendliest, informative, and professional individuals I have encountered in a long time. 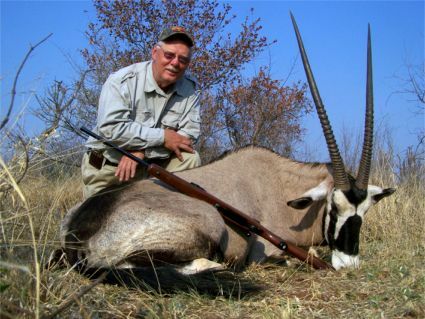 He was able to answer all of my questions and provided me with all of the information I needed to choose Cruiser’s for my hunt. 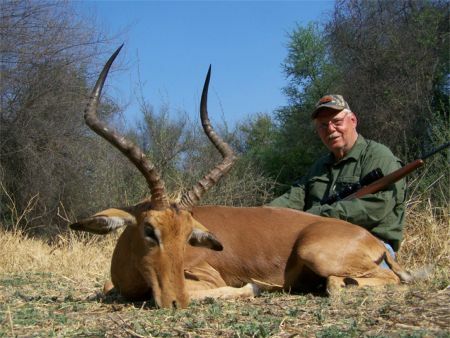 After placing a deposit for my hunt, a 10 day package with 6 animals, Bob continued to provide me with all the information anyone would ever need regarding what I would need for my trip, what to expect, and who to see when I got to Africa. My nephew accompanied me on this great expedition. 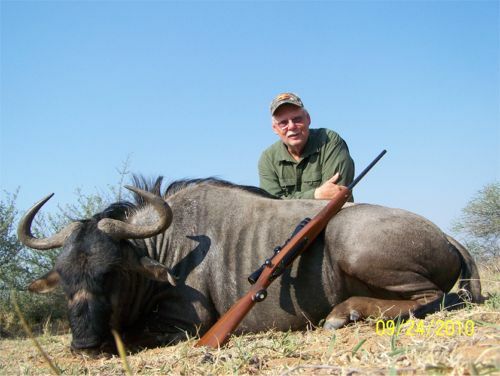 On our arrival in Africa we were met by one of the PH’s, Pieter and his wife at the airport and they assisted us in registering our guns with the SAP. 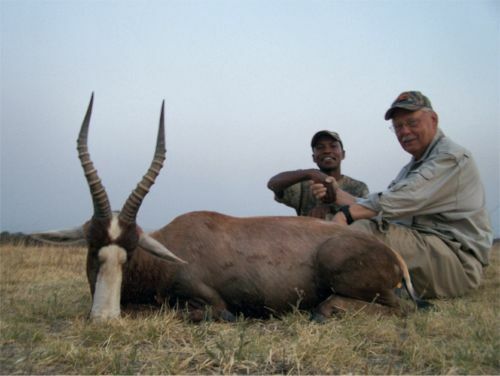 We then picked up the other hunters and began the 3 1/2 hour trip to the lodge. On the way we were able to see many of the animals that we would hunt for the next few days. On our arrival at the lodge we were met by the owner, Pieter, who welcomed us to his home and lodge. He then assigned us each a PH, who would be with us for our entire stay. I was put in the caring and trusting hands of Hans, who took care of me for the rest of my trip. We also met our Chef, Delmarie. 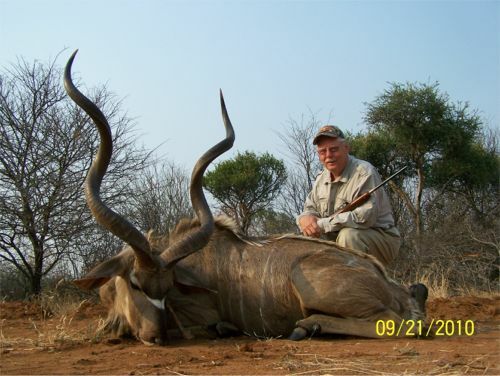 All of the people at Cruiser’s, Pieter the owner, the four PH’s, the cook and the rest of the staff went out of their way to make sure that each and every hunter had the best of everything that could be provided. My nephew and I each took 6 animals and at this time we believe all will make the SCI record book, two of the animals taken by my nephew will make the “Gold” list of the top 500. 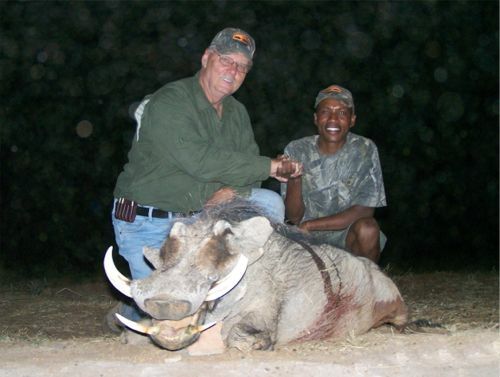 Joe hunted with Cruiser Safaris in September 2010.